For more than two decades, Herb Malone has been a guiding force in the tourism industry along the Alabama Gulf Coast. 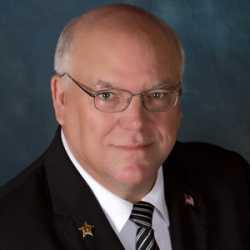 He served as president/CEO of the Alabama Gulf Coast Area Chamber of Commerce from 1988 to 1993 and in this role, worked to recruit both businesses and guests to the area. As the need for a destination marketing organization developed, Herb played a key role in the establishment of the Alabama Gulf Coast Convention and Visitors Bureau (CVB), which is now known as Gulf Shores & Orange Beach Tourism. He has led this organization as president/CEO since 1993. The tourism and hospitality industry honored his work in 2000 by inducting him into the Alabama Hospitality Hall of Fame. Then in 2001, he was named the Alabama’s Tourism Promoter of the Year and four years later in 2005, Herb was honored as the Alabama’s Tourism Executive of the Year. Herb is a member of numerous area civic organizations and currently serves on the board of the Southeast Tourism Society.